Donald L. Gilleland will discuss his book series on America at the Suntree Library on Saturday, September 17, 2016 during 3:00 PM – 4:00 PM. He will highlight America: A Conflicted Nation, which is the fourth in his series. America: A Conflicted Nation opens up a candid dialogue about national issues that Americans feel torn about, such as immigration, terrorism and military action overseas. Gilleland confronts these topics head on in “America: A Conflicted Nation,” to help readers shake off the discomfort they feel about these hot button issues. The fourth book in Gilleland’s America series serves dual purposes by focusing on heated issues while emphasizing that ours is an extraordinary nation. 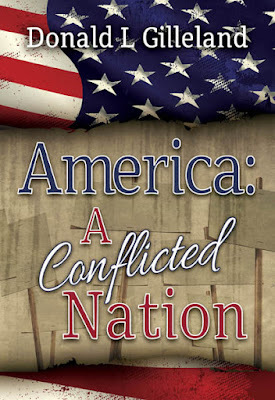 “America: A Conflicted Nation” hones in on the reasons Americans should feel good about our country and why they sometimes find that difficult. Reviews show that readers feel Gilleland’s latest book is an essential roadmap that leads to a new perspective on the issues our nation is grappling with in 2016. "Gilleland's latest novel is thought-provoking and eye-opening,” said Jaimie Engle, owner of A Writer For Life writing and coaching services in Melbourne. 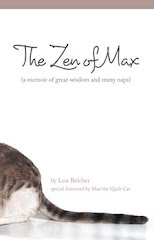 “His review of hot topics and cultural issues gave me reason for pause and to reflect on my own life, particularly my impatience with people when behind the wheel. I appreciated seeing the America Don knew and how it causes Americans today to be truly conflicted. This book should be required reading in all high schools across the country." “America: A Conflicted Nation” tackles tough topics and elevates stories of promise that tend to get overlooked by major news sources. The America series began with “America: A Cultural Enigma,” which analyzes what many senior citizens believe were the “good old days” and suggests that they may not have been as good as seniors recall. Gilleland’s observations in “America: A Cultural Enigma” touch on the seismic changes that dramatically divided our nation over the last 50 years while shedding light on the differences between younger and older Americans that make it challenging for them to relate on certain issues. The second book in the series, America: Where Great Things Happen takes a closer look at the remarkable things Americans do every day in our nation, that are largely ignored by the mainstream media. Gilleland’s third book, America: An Exceptional Nation zeroes in on the aspects of America that make it one of only a handful of nations on Earth that can hold out hope for the world in the 21st Century. The book builds a worthy argument for “American Exceptionalism” and sets a tone of positivity that encourages readers to be proud patriots. All of Gilleland’s books are available for purchase on Amazon.com, BarnesandNoble.com and BooksaMillion.com or directly from him. 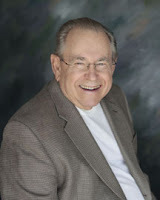 Donald L. Gilleland has lived in 12 states, visited 35 countries and published more than 500 articles in community publications around the world. In addition to his writing career, Gilleland is a veteran of the armed forces who served for 30 years prior to retiring in 1984. Shortly thereafter, Gilleland began a distinguished career in the private sector as the director of public relations and advertising for AM General Corporation and later the corporate director of public affairs for General Dynamics Corporation. Today, the Melbourne based author writes books and articles that challenge existing thought about our nation’s most controversial issues. For more information on Don’s books check out his webpage at: www.donaldgilleland.com, or contact him directly at dgill000@aol.com.